Its not just us anymore. Since we started this campaign we have always wondered if we were right? 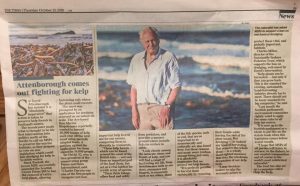 Frankly its a heavy burden, reading endless papers which all say pretty much the same – clearly showing that seaweed trawling is having devastating effects on the wildlife and environment – while nearly all the environmental organizations say nothing. Further still the state organs responsible for our wellbeing and the state of our environment and ecology must know but say nothing. Here is confirmation of the biggest kind possible . 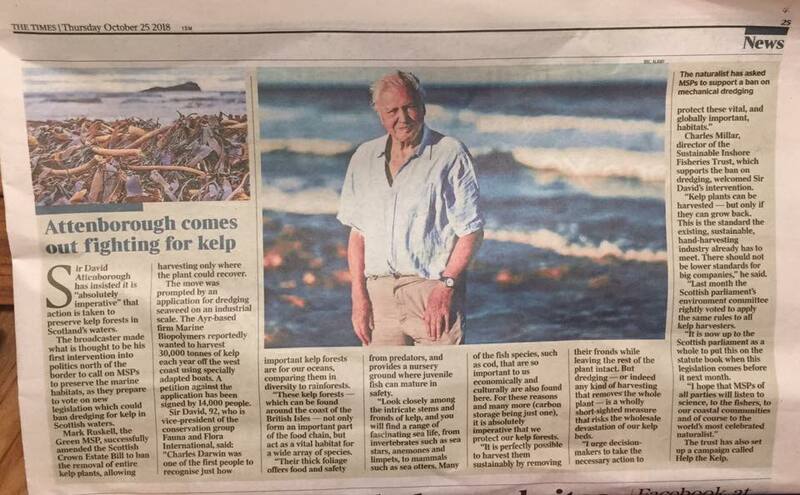 David Attenborough has written an article published in the Times newspaper in the uk clearly stating the state is ignoring science and COMMON SENSE concerning seaweed trawling. This article was sent to us by our colleagues in Scotland fighting the introduction of seaweed trawling there. We have already sent a link to the Norwegian news service NRK. we hope and trust that the voice of such a important person in all our lives will not be ignored, especially by the Norwegian state. If the validity of the seaweed trawling industry is called into question – so will the validity of those marine biologists and organizations that support the industry – this is a serious matter indeed as it calls into question the world of very many individuals who are in a position of power. The suffering caused by the illnesses inflicted on us by the release of chemicals into our nature is something that these big companies never have to pay for. Only those individuals and the states concerned. It is time the protection they have is stripped away and their actions treated just like any other crime, and they like any criminal. This should also apply to those who protect and nurture those individuals and industry. A great deal of the confusion behind science is due to long words and complicated verbal structures. This is confusion is often used by industries to cover the activities they dont want the public or politicians to know about . 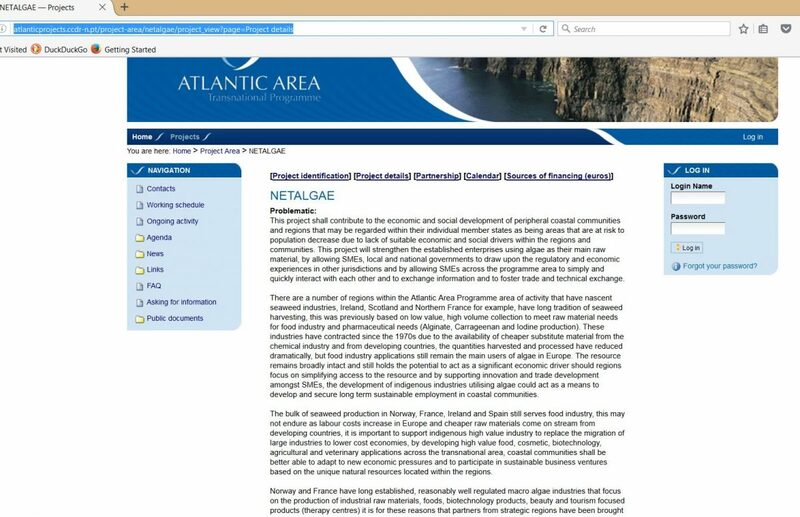 These documents are from the eu, a organization called Net Algae. The purpose of this organization is to assist seaweed harvesting, to be precise ,commercial seaweed harvesting in all its forms. It is quite clear that this organization understands the impact this industry is having on our ecologies. 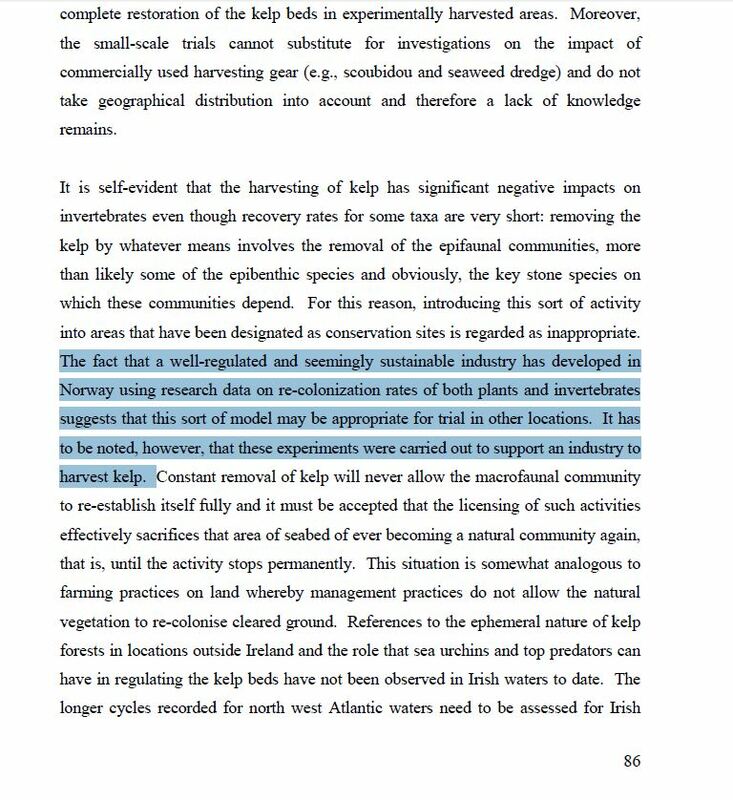 This is from the document on their website giving an overview of the commercial harvesting activities in the many eu lands. Essentially – it is that seaweed is a keystone species on which a great deal of nature and wildlife depend, and that some countries are concerned enough to protect their marine forests. 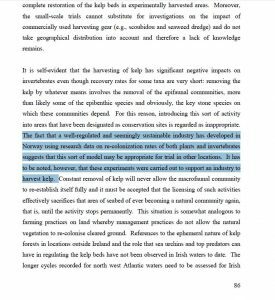 Further – it says in the next paragraph how concerned marine biologists are with the damage the seaweed harvesting industry is inflicting on the environment – this is a little disturbing in itself as it plays down the damage caused – especially as it is clearly documented in many papers, they should be very aware of these major papers. 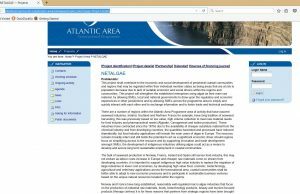 Here is a document entitled projects, produced by Net Algae – it says it thinks seaweed harvesting in all its forms is a very undervalued business and will help any company or organization wanting to pursue commercial harvesting. Yes it says first of all that it wants to bring together environmentalists and policymakers(businesses) , but the big question is why bother, if their stated aim is to harvest under any circumstances as they well know the environmental consequences. Perhaps they hope to impress the environmentalists of the importance of modern economics? It uses incredibly obtuse and dense language – as such it can be interpreted in several ways – however we think we have the gist of it. Frankly when you consider the budget of over 1 million euros to encourge the scraping and destruction of marine habitats over a massive area the eu seems to be breaking its own laws on natural resources. 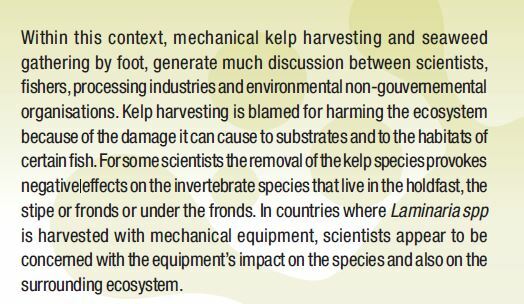 Here is a little snip – it talks about biased reports and the sea bed becoming a desert from repeated mechanical harvesting of the type currently employed on the norwegian coast. Ref Biased Norwegian reports – there is only one reference we can find on the internet which indicates that the damage to the sea floor and marine habitat is minimal and that is on the website of FMC biopolymer, now DU PONT – it is interesting to note that it is unsigned – that is no marine biologist has verified the statements. The site contains one link to an article which is signed but does not in any way say that harvesting is sustainable or eco friendly in fact it says the reverse. 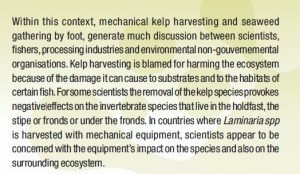 It is possible that the EU is Breaking its own laws in promoting this industry, it has ignored all indications that it is destroying the ecosystem even though they are clearly indicated in many official state papers. It is interesting to note that the document Netalgae-Problematic is currently unavailable – perhaps they are sensitive to criticism.